Our vision is to provide safe and effective herbal remedies made with organic ingredients. Providing individuals natural organic Chinese herb formulas and topical remedies since 2007! And our involvement with organic herb farming started in 1983! 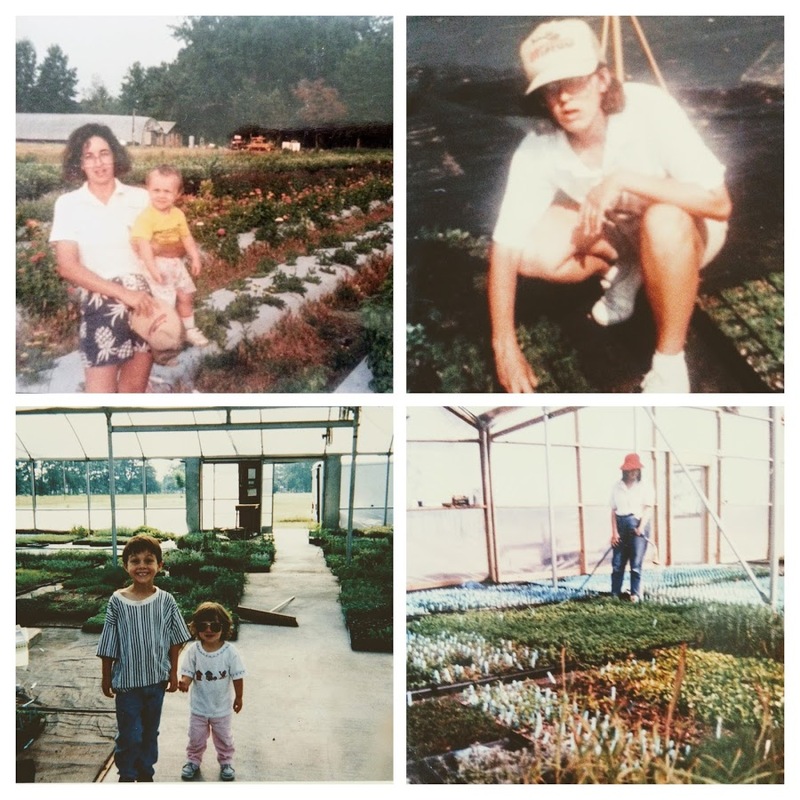 Our family has been in the herb business for over 35 years! Starting in the 1980's our herbal roots grew with creation of South Carolina's first organic herb farm. Mt. Carmel Herb Farm provided traditional Western organic herbs for culinary and medicinal use all over the south-east! After a few decades Walmart and other garden centers got word that growing sage, oregano, and thyme wasn't that hard and we had to come up with something new. Since 2007 it has now been our goal to provide safe Chinese herbal dietary supplements using organic and natural ingredients. This idea started in 2003 when Dr. Catherine Browne DAOM, L.Ac., Dipl.Ac., RH (AHG), our founder and master consulting herbalist, started producing tea-pills for her patients she treated in acupuncture clinic using certified organic herbs. Dr. Catherine Browne's, DAOM, L.Ac., Dipl.Ac., RH (AHG), background includes organic farming, acupuncture, clinical herbalist, and most recently Doctorate of Acupuncture & Oriental Medicine. Her credentialing and experience qualify her as one of the country's most established authorities of herbal medicine. Ageless Herbs is the #1 provider of Traditional Chinese Herbs using organic and natural ingredients! Dr. Catherine Browne, DAOM, L.Ac., Dipl.Ac., RH (AHG) was the founder of Ageless Herbs and still serves as a consultant providing quality assurance, herb identification, and purity of products. She began her career as an organic herb farmer in 1983. As a child she was drawn to plants, the soft petals of flowers and the fragrances of plants intrigued her. In Catherine's words “they were like candy, pretty and scented and they sparked my imagination.” Her mother told her that at age of 5 she was pruning the neighbors geranium flowers during her walks to school. This would make her late for class most mornings only to be forgiven as she had flowers for the teacher. It was at this young age her love affair with herbs and botanicals began. 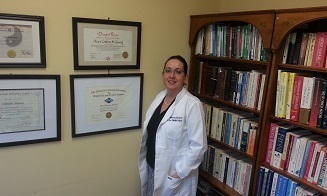 Dr. Catherine Browne's Acupuncture-Herb Clinic Website in North Carolina linked here! 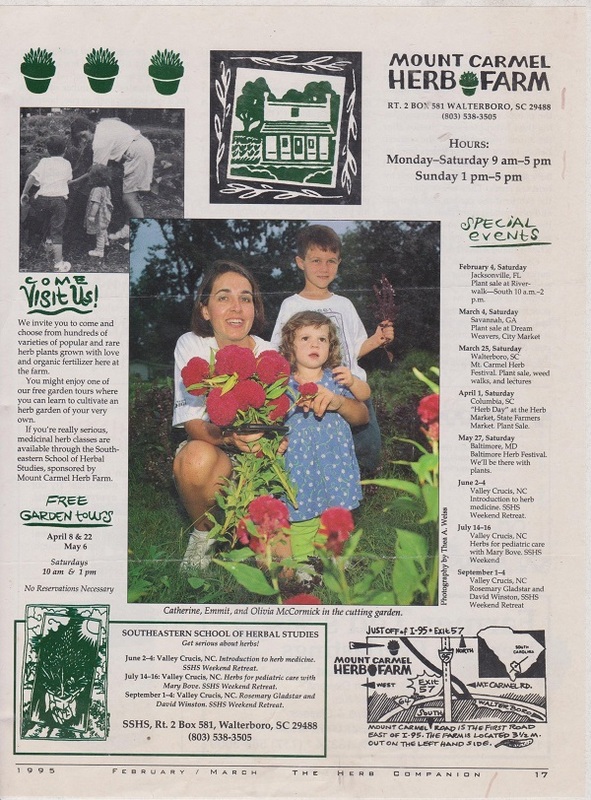 Long before achieving her doctorate degree, Dr. Browne owned an organic herb farm from 1983-1998 where she oversaw the propagation and plantings of over 400 cultivars of herbs; she helped to introducing and marketing new and unusual varieties of herbs to the general public. Supplying 50+ garden centers at a time when most were unfamiliar with growing or using herbs for culinary or medicinal purposes. Her son Emmit and daughter Olivia grew up on this herb farm gaining an early work ethic as wthey ere expected to pitch in from an early age; their baby swing was in the warm greenhouse as infants. 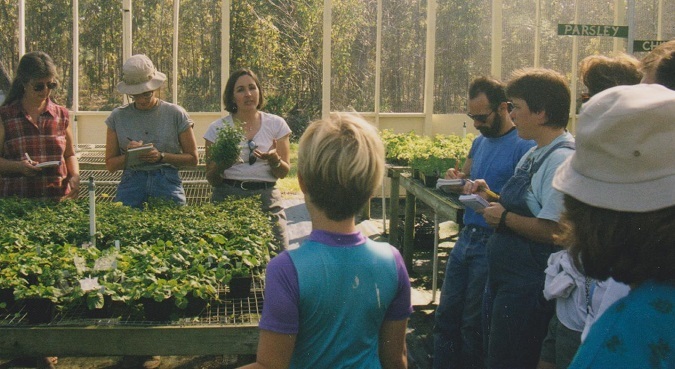 See Extensive Photos of the Organic Herb Farm Dr. Browne Started in 1983 Linked Here! The rural herb farm was an early agri-tourism sight attracting customers from 40+ states and many countries that produced not only herb plants, but also aromatherapy candles, body care products, and healing remedies. Catherine also owned a community health food store for several years. Dr. Browne furthered her love of botanicals by training extensively in medicinal herbalism through many years of formal schooling at accredited colleges and universities. She has been a practicing herbalist every day of her professional life for the past 35+ years. She has educated thousands of individuals, both laypersons and health professionals through classes and by sponsoring larger educational retreats featuring famous herbalists and authors. She has taught almost everything from how to use common herbs to making remedies and composting. She holds special education CEU classes at her farm and clinic teaching acupuncturists clinical uses of essential oils and growing medicinal herbs to this day. Catherine is a wealth of herbal medicinal knowledge and passes it on to her students without reserve. Dr. Browne maintains the philosophical belief that herbal medicine is a birthright and passionately works to empower individuals through herbal education for over three decades. She has remained dedicated to herbal education and empowering individuals with healing wisdom; In the 80’s, she spent an average of 20 weekends per year speaking at garden centers about growing and using herb plants, and about organic gardening methods; in the 90’s, she developed an apprenticeship class for medical herbalists and organized weekend herb conferences; while at acupuncture school she taught an ongoing 200 hour CEU class ‘The Energetics of Western Herbs’ using TCM theory; In 2009 she became an NCCAOM PDA continuing education provider offering classes to professional acupuncturists. Dr. Browne founded Ageless Herbs because as an acupuncturist working in clinic she wanted to provide to her patients, family and friends organic formulas that were free of heavy metals and pesticide residues; she could not in good-conscience prescribe tainted herbs and formulas to those she cared for ; Ageless Herbs grew out of that effort. You could say Ageless Herbs took form organically throughout the years and grew as a natural extension of her family, friends and patient’s needs. 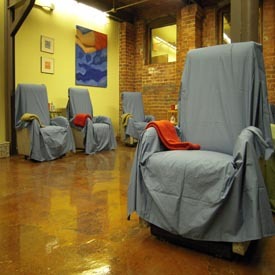 From 2009-2016 she practiced at 4 community acupuncture clinics community acupuncture clinics in Elkin, NC and Charlotte, NC providing affordable health care to all as part of the national Community Acupuncture Network. Dr. Browne was the original “going green” enthusiast before organic was hip and trendy; she is no Johnny-come-lately organic adapter and her son Emmit was born in to the organic lifestyle. While other companies work hard to green-wash their image introducing “natural” into their branding, Catherine Browne is the essence of all that is natural and organic. 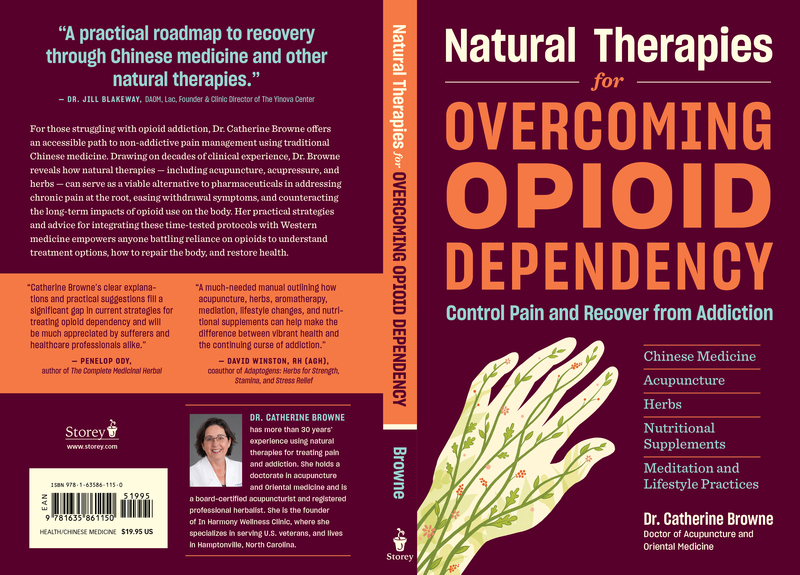 Dr. Browne is also the author of Natural Therapies for Overcoming Opioid Dependency found here! An authority on herbal medicine and a registered herbalist with the American Herbalist Guild. Dr. Browne is a licensed Acupuncturist possessing a rare license that allows for prescribing herbs in her scope of practice. 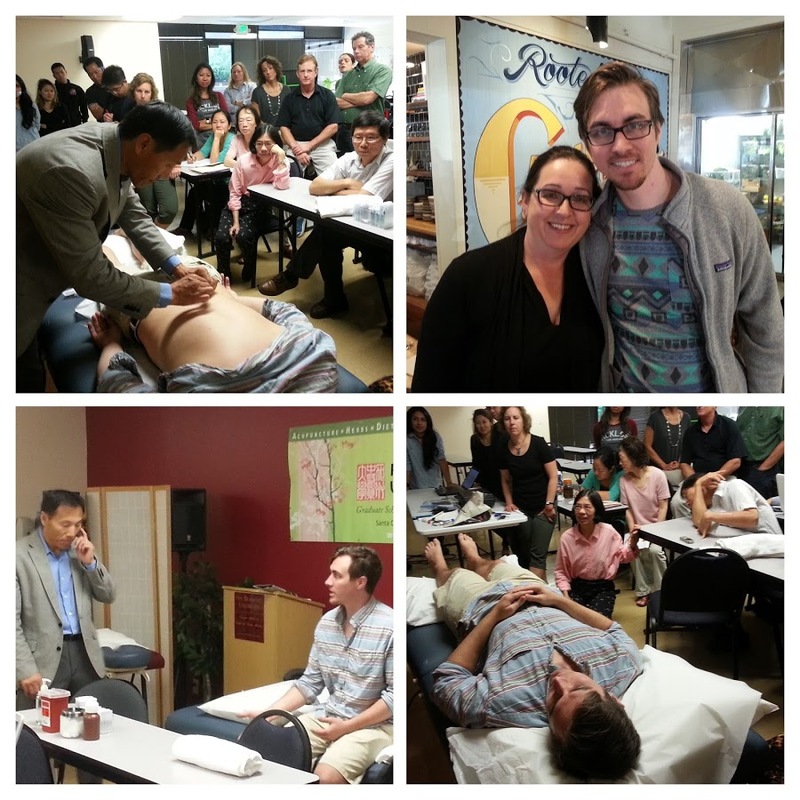 As she continues to educate herself; most recently, her dedication and passion for botanicals was demonstrated in taking it a step further by attending and completing a Doctoral Program at a renowned Acupuncture school in San Jose, CA. She spent almost every month flying 6000 miles monthly from North Carolina to California to further her education from 2014-2016. There are no greater credentials for an herbalist in the US than the title of Doctor and Doctorate of Acupuncture and Oriental Medicine (DAOM). Dr. Browne's son Emmit lived in San Jose while she attended school and is pictured here to the right receiving a treatment from a professor at Catherine's school. Dr. Browne, husband Bill, as well as her son and daughter, Emmit and Olivia McCormick are all involved in making these herbal formulas every day and ensuring the highest quality oversight. Emmit oversees the website and technical details. Everyone is involved in the small batch production and facility certifications. Bill manages production of the formulas all the way to the details of packaging and shipping of your products while Catherine still acts as master herbalist and product consultant. Olivia is our marketing guru and helps out everywhere. When you purchase from Ageless Herbs; know that you are getting high quality, organic, passion, love, and knowledge.The true essence of a holistic herbal doctor and family spanning decades of practical, professional, familial experience and education. This family company lives and breathes herbal passion in to our formulas and products. Thank you for supporting us and our passion. Live Healthy. Be Free. Stay You.